There is a lot of talk out of Republican Party circles about the left and its plots to take away our freedoms, such as our guns. However, this is a lie. The left has been dead for decades. There are no popular parties of communists and socialists. Sure, there are a few remaining members of these old parties, but they are hardly a threat to the status quo. Most of them may be FBI informants anyway. So when we hear talk about the left from say, Fox News, especially on economics and politics, those folks really mean the 99 percent. That’s right! They mean us! In poll after poll the 99 percent want a $15 minimum wage, higher taxes on the rich, an end to free trade agreements that are designed to export millions of US jobs but which benefits the 1 percent almost exclusively, Medicare for all, greater worker and environmental protections, legislation that will strengthen labor unions, and a lot more stuff that would be in interest of the 99 percent, but which would not necessarily be in the interests of the billionaires who control your government, both major political parties, and all of the major news media that keep you blinded to the things the billionaires don’t want you to know about. So when you hear somebody on television talking about how the left is out to steal your freedoms, like a powerful gang of communists, that really is not true. These groups don’t exist in any serious way. That somebody on television is really out to steal your freedoms by distracting you from the real economic bread and butter issues by focusing your attention on the social issues. That person on the news is a paid employee of the billionaires on the political right. That person has little credibility. By today’s political right standards, even old arch-conservative Richard Nixon would be a hard-line communist. 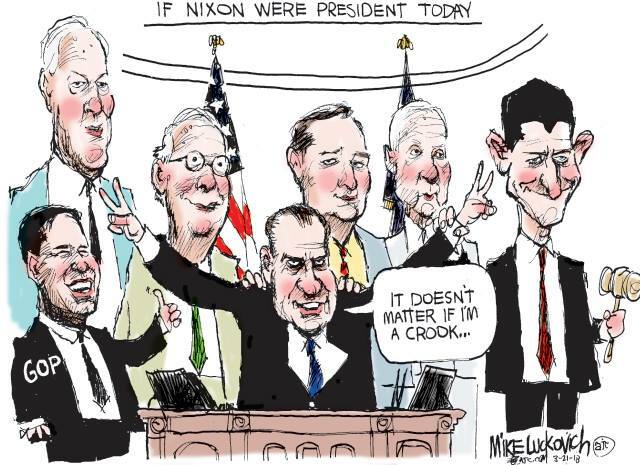 Nixon was, of course, also a crook who resigned under the very real threat of impeachment. Nowadays, the political servants of the 1 percent can commit all sorts of crimes and get away with it, like torture, waging wars against humanity, and on and on. Oh my! How things have changed. 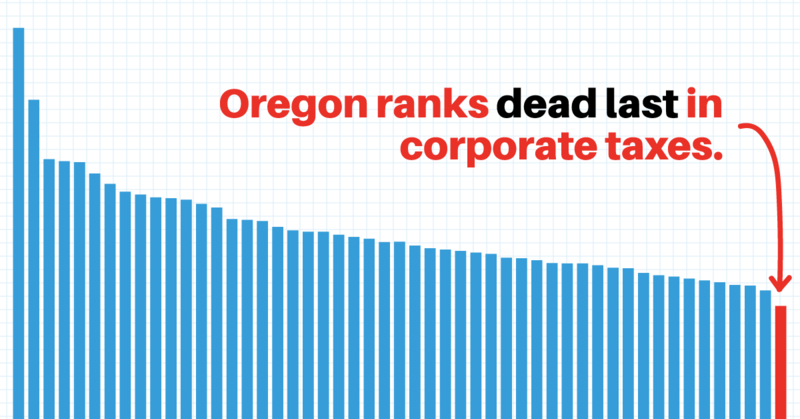 Oregon is ranked dead last among the fifty states in corporate taxes. That’s why Measure 97 is on the ballot come election day in November. The top federal corporate rate is 35 percent, yet many corporations making billions of dollars a year each pay little or no taxes. In many cases, corporations receive federal tax rebates by the billions on taxes they never paid. That means the effective tax rate for many major corporations is negative. 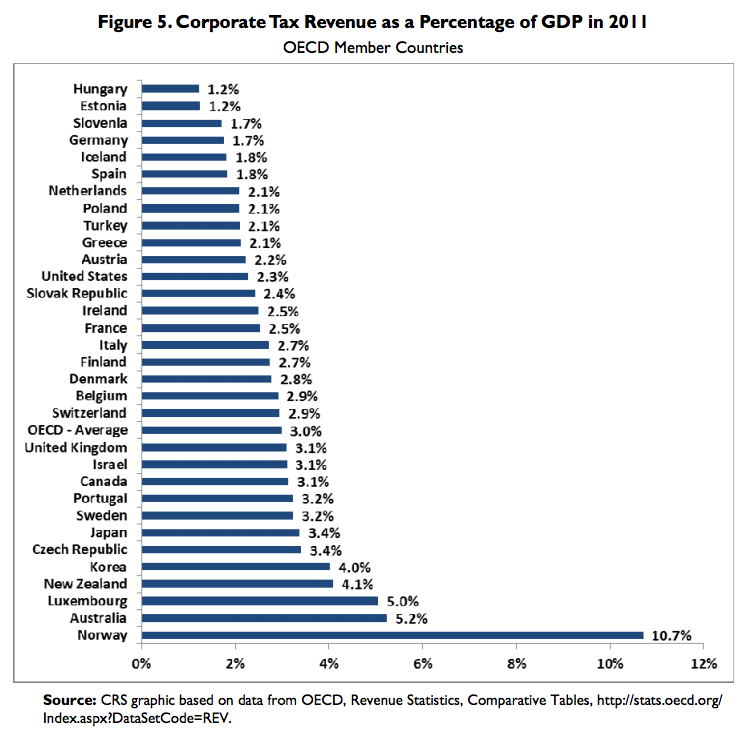 This explains another reality; US corporations are the least taxed of any major industrialized nation, regardless of the myths and lies thrown out by the Fox Propaganda and other networks. Corporations like Nike currently own such Oregon politicians as Wall Street Senator Ron Wyden, Wall Street congressional representatives Earl Blumenauer, Greg Walden, Suzanne Bonamici and Kurt Schrader. These representatives are always voting to redistribute income from the 99 to the 1 percent on behalf of big corporations. Corporations should be made to pay higher state taxes in Oregon in order to pay the people of Oregon for the use of their politicians. When you total up all the taxes businesses really pay, and compare that amount to the total corporate profits generated in the state, liberal Oregon is dead last. That’s the best way to compare effective tax rates. Other rankings, like those published by the Tax Foundation, ignore the actual amount of taxes companies pay and focus instead on incidental factors. Most state rankings have a fair degree of variability, with states jostling around a bit in the rankings year to year. That Oregon has remained at the bottom of these rankings for the past three years is a strong sign of just how little corporations pay in taxes in the state, compared to the profits they make in the state. While Oregon lets big corporations skate by and pay low minimum taxes, the state’s schools and services remain critically underfunded. If Oregon’s corporate tax collections were in line with the rest of the country, Oregon would have the revenue it needs to fund strong schools and services that will grow our economy and help hard-working Oregonians get ahead, protect their health, and retire with dignity. Measure 97 is the solution to Oregon’s low corporate taxes. By focusing a tax increase only on large C corporations, those doing more than $25 million in Oregon sales, Measure 97 will raise significant revenues for the investments that grow Oregon’s economy, all while protecting smaller businesses that are already paying their fair share. In Quebec today, 400,000 public workers and teachers went on strike protesting lagging contract talks. In the United States, you’d be lucky to get 40 people to a strike. That’s because the corporate propaganda machine has smeared the labor union name, and too many US citizens have bought into the lies, even as their jobs have been shipped overseas, their wages have been crushed, their benefits eroded, and the value of their lost incomes, in terms of benefits and wages, have been redistributed to the 1 percent. That’s why and how the 1 percent in the United States steal over 37 percent of the income produced yearly, compared to only 10 percent in Canada. That means the 99 percent earn 90 percent of the income per year in Canada, compared to 63 percent in the US. This gives the Canadian 99 percent more money to purchase goods and services, which creates jobs and stimulates growth in Gross Domestic Product, wages and benefits. In the USA, where the 99 percent earn 92 percent of the income, but receive only 63 percent, because the rich have stolen it from them via federal and state legislation, the demand for goods is considerably slacker than in Canada. What’s the difference between corporate propaganda in Canada and in the United States? In Canada, there are rules regarding honesty in public broadcasting. Much of the lying propaganda put out by the US cable and major news (propaganda) networks over the last thirty years has not been broadcast into Canada. This is true as well for the right wing radio talk shows that unofficially operate as a propaganda machine for US corporations. Fox News, for example, cannot be broadcast into Canada because the company would violate the honesty clause governing Canadian news broadcasts. However, you can get Fox in Canada via satellite. Honesty, in other words, is the key difference as to why the US labor movement is declining in numbers, while the labor movement is growing in Canada. Click right here for more on the Quebec strikes from Revolution News. When Will US Senator Bernie Sanders Run for the Presidency Because Hilliary Will Represent Wall Street’s Interests Rather Than Main Street? Is US Senator Bernie Sanders going to run for president because former Wall Street Senator Hilliary Clinton won’t represent the middle class. The Hilliary Clinton? The person who twice received $200,000 for half hour speeches to Goldman Sachs executives in October 2013. Hilliary is unlikely to represent the middle class as president, but she will spout off about doing so. That’s my take. After the Koch Brother’s wing of the US Supreme Court came under intense criticism for its incredibly corrupt decision in the Citizen’s United case, which granted business corporations constitutional rights, sometimes called personhood rights, the corporate media attempted to confuse the public, so as to dilute the public wrath toward the court’s five corrupt, corporate members, Chief Justice John Roberts (a well known perjurer), Clarence Thomas, Samuel Alito (Another well known perjurer), Anthony Kennedy, and Antonin Scalia. See Precedents Begin to Fall for Roberts Court–New York Times. Pundits on television and commentators in the written press defended the court’s decision by saying nonsensical things, such as shareholders of corporations are people and deserve constitutional rights. This type of argument was only intended to confuse people. A business corporation is “an imaginary business model given the legal rules to exist and operate by legislative authorization under the legal fiction of being an “artificial person.” Shareholders are the owners of business corporations, which are only ideas. 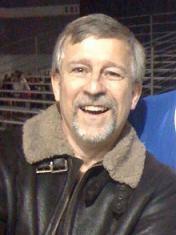 To suggest shareholders of corporations are the same as the corporations they own is as illogically sound as to suggest that a person who owns a dog is in fact his dog, or the people who own a chicken poop farm are the chicken poop on their farm, or the people who own communal land jointly are the land they own, or the husband and wife who own a house together are the house, or the person who owns toilet paper is the toilet paper she owns. Don’t let the pundits and commentators of the corporate propaganda machine lie to you. Another point never made in rebuttal to the “shareholders are corporations” argument was that corporate shareholders already have constitutional rights as individuals. Besides, the US constitution does not grant group rights, it only grants individual rights, and shareholders already had those. Even that point would have only served to divert our attention from the real issue, which is shareholders are not corporations anymore than the owner of kitty litter is kitty litter, although that nonsense seems to make sense to the folks at Fox News, as well as Chief anti-Justice John Roberts, as well as his fellow anti-justices Clarence Thomas, Samuel Alito, Anthony Kennedy, and Antonin Scalia. 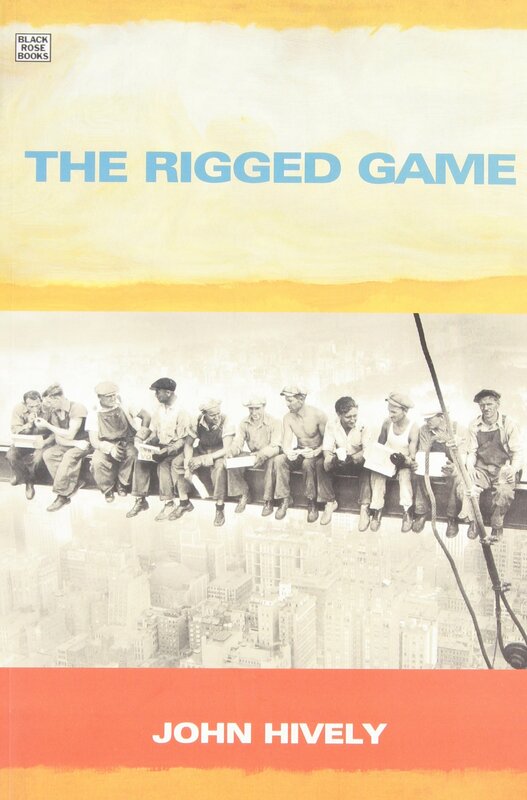 The economic, political and economic games are rigged in favor of the 1 percent by the 1 percent. The US Supreme Court’s Citizen’s United decision, and the public defense of that decision, and corporate personhood, were just other ways of further rigging the game to hide the the gigantic economic, political and judicial corruption that soaks the United States, its corporations, and its governments. The anti-justices of the US Supreme Court simply did their job, which is why they were nominated by US presidents and confirmed by the US senate, and so they created another conduit to help the 1 percent increase that corruption, and continue to redistribute income from the 99 to the 1 percent without the 99 percent ever seeing it. That’s the mission of the corrupt, corporate wing of the US Supreme Court: Chief anti-Justice John Roberts, Clarence Thomas, Samuel Alito, Anthony Kennedy, and Antonin Scalia. Click the link below for more on this issue. Notice in virtually every mention in the so-called news media in reporting or editorials for or against raising the minimum wage, there is never any mention that corporate profits are at historic highs, and that raising the minimum wage to $15 an hour would be easy just because of that. The reason we don’t hear that is because the primary job of the propaganda machine of the 1 percent is to keep us misinformed, even if it means simply lying to us. The Oregonian news paper, Fox News, MSNBC, and the Wall Street Journal are cases in point. That’s because raising the minimum wage will cut into those historically high corporate profits, possibly putting downward pressure on share prices and corporate bond ratings. That would eliminate some paper wealth of the 0.01 percent. However, recent studies show increasing the minimum wage creates jobs and spurs economic activity and growth by enhancing the demand for goods and services. In other words, that paper wealth of the 0.01 percent, as well as those massive record corporate profits, drag the economy down. After a potential decline in value due to a minimum wage increase, the stock markets would rebound with soaring share prices due to more robust demand for goods and services. Here’s a point the corporate propaganda machine doesn’t want you to especially consider. The rise of the current US stock markets are nothing more than a series of bubbles, NASDAQ and the Dow Jones Industrials being examples. If the federal minimum wage were to be enacted those bubbles would deflate safely to some degree, possibly curbing the great impending economic disaster, which is on the horizon. That economic holocaust will make the last recession look like a blessing. Just like the stock market bubble in the 1920s, just like the housing bubble exploded from 1994-2007, this current bubble will burst, and with it, much of the US and world economy will evaporate with it. There are worker strikes for higher minimum wages going on across the United States. They began last week, although some have been on-going for a while. “The Fight for $15 movement is growing as more Americans living on the brink decide to stick together to fight for better pay and an economy that works for all of us, not just the wealthy few,” said Mary Kay Henry, president of the Service Employees International Union, which has been backing the protests. Giving these people a raise might actually stave off or at least delay the impending economic crash that’s headed our way. It would be good economic policy in the long run.